One Legal – the externally funded alternative business structure (ABS) that saved leading crime firm Kaim Todner earlier this year – has made its second acquisition as it looks to create a new model for criminal law, Legal Futures can reveal. The firm, headed by Trevor Howarth – the founder of now-defunct Stobart Barristers – has bought north London practice Guney Clarke & Ryan (GCR). Mr Howarth said the 18-year-old business had a turnover of around £2m and would add 20 people to One Legal’s growing team. GCR’s four directors are leaving. 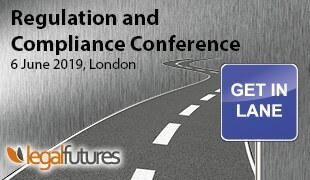 GCR has been involved in various high-profile cases, acting earlier this year for one of the six brokers cleared of Serious Fraud Office allegations of Libor rate rigging, and also for a former news editor of the News of the World, James Weatherup, who was imprisoned for involvement in phone hacking. Away from crime, GCR is leading the legal action on behalf of blacklisted construction industry workers against major construction companies. Unlike with Kaim Todner, GCR was not a distressed firm, Mr Howarth said, but fitted with what One Legal was trying to do – centralising the back-office function and providing a bespoke IT and case management solution, and freeing up the lawyers to focus on their work. Mr Howarth has consistently argued that “the traditional business model for solicitors is becoming increasingly challenging to maintain”, with GCR – with one office on a high street – a classic example of that, he said. Mr Howarth said he was “very pleased” with the progress made at Kaim Todner. It now has 70 staff, compared to 46 when One Legal took over in March, with fee-earners, including higher court advocates, accounting for most of the growth. He said further acquisitions were in the works, but while he had been offered many deals, “a lot of them are impossible because the firms have too much debt”. The problem for lawyers looking to “get off the merry-go-round” of criminal law by closing, he added, was run-off insurance, leases, redundancies and other costs. The Solicitors Regulation Authority announced last week that former Kaim Todner directors Claire Marie Anderson, Hulusi Ali, Stephen Henry Garland and Heidi Ann Leaney had been given written rebukes and each ordered to pay a fine of £1,000 for failing to inform the regulatory promptly of “serious financial difficulties” at the firm in 2012 and 2013. Mr Howarth said the events long pre-dated One Legal’s involvement. 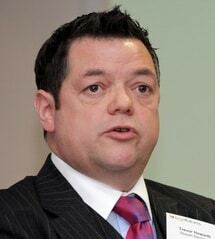 Trevor Howarth is speaking at next month’s Legal Futures Innovation Conference. For all the details, including tickets still at an earlybird price, click here.